Affiliates Earn 40% of all membership sales. 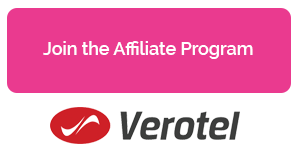 Our affiliate program is administered by Verotel one of the largest and most trusted credit card processors on the web! After you have joined our referral/affiliate program we begin tracking the visitors you send to our website. We do this by using cookies which is simply a tag that lets us know that the visitors are coming from you. If any one of those visitors buys our membership, while their cookie is valid, you get credit for the sale. How do I join the referral affiliate program? - Step 1: Fill out the sign-up form below and get your personal "Affiliate ID"
- Step 2: Get our banner whit the code you'll find under "tools" in your admin panel.